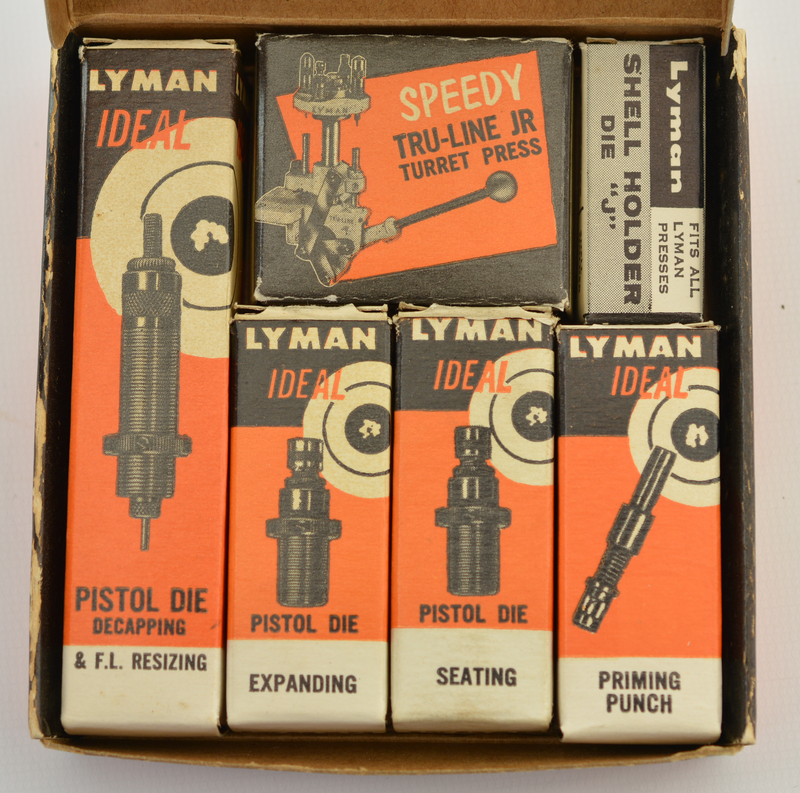 Description: Vintage Lyman ideal die set built for the tru-line Jr press in 38 special. This complete set of dies is in its original box as shipped from Lyman. 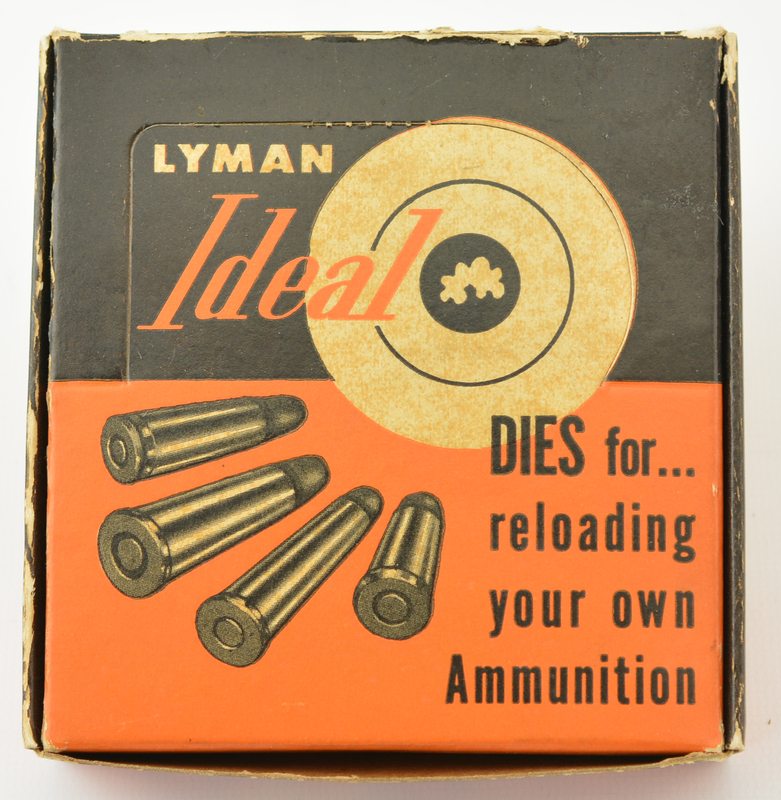 The box contains the decapper and resizing, expanding, seating, priming punch , shell holder and the original box spacer. None of the boxes appear to have been opened. The factory box 4 3/4 by 4 1/2 remain in as new condition showing only some color loss along the top edges and some age fading. An above average vintage piece for the tool or die collector.